Update: read this very welcome response to this discussion by Geoff Nunberg at NPR here. So let’s embrace this gift of seeing Austen at work and instead of quibbling about commas and quotation marks that make it look like some male editor made the Austen we all admire, do as Sutherland suggests and take Austen’s works to yet another level… what an opportunity we have! 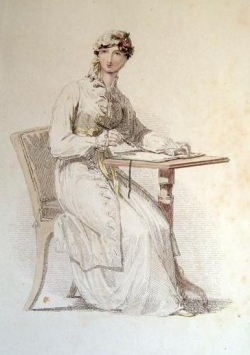 This entry was posted in Austen Literary History & Criticism, Jane Austen, Literature, Publishing History and tagged Jane Austen, Jane Austen Fiction Manuscripts, Kathryn Sutherland, Oxford University. Bookmark the permalink. I agree, Deb. The brouhaha was created by the press. I think Sutherland wanted to make a more cogent point – which was that Jane’s writing in the raw was quite creative. Thank you for linking to my post! 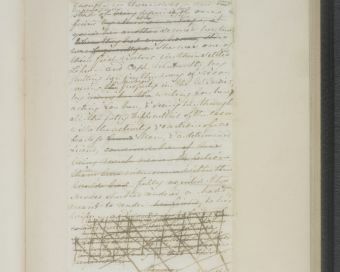 It seems to me that many people of Austen’s time were poor spellers, simply because there was little consensus on the correct spelling of many words. While Johnson’s dictionary came out in 1755, and there were a couple published in the 1600s, the use of dictionaries was hardly widespread. and as always Marcia – thank yu for yo’r “freindship”!